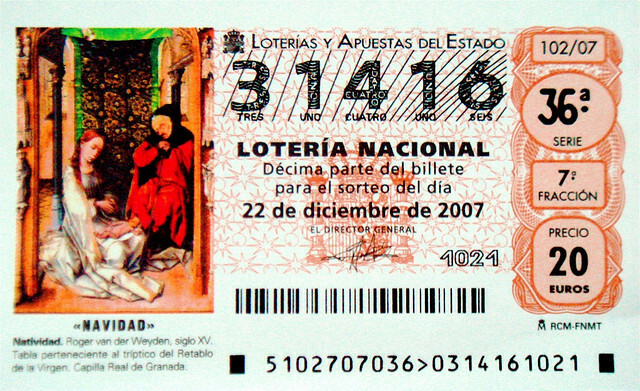 On December 22nd each year, all Spanish eyes are focused on El Gordo (the Fat One) Christmas lottery draw. The three-hour televised event for ‘The Fat One‘ will bring the whole country to a near standstill as millions will leave work and pack bars to watch it. The winning numbers are drawn by school children, from two large gold drums in the Grand Salon of the Spanish National Lottery in Madrid. Tough economic times have resulted in an increase in the number of people buying tickets for this year´s lottery draw. Ticket sales are reported to be 29% higher than last year, with each Spanish citizen spending an average of €70 in an effort to win the top prize. 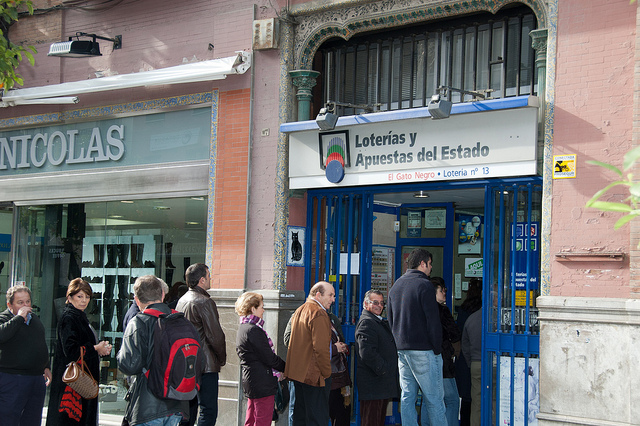 El Gordo, the biggest lottery in the world, will sprinkle €2.5 billion in holiday cheer across the country today, handing out winnings eagerly welcomed by a nation facing 20 percent unemployment. This entry was tagged christmas, El Gordo, Spain, Spanish christmas lottery. Bookmark the permalink. I know I watched part of the show while having a Christmas coffee at a friends place while catching up. I am not one to play the lottery really, I might play twice a year however, I always play El Gordo. I can’t resist. I won 5000 euros about 5 years ago, it was a great feeling!